" We asked Sallie-ann at Hype Digital to tender for a complete make-over of our website alongside two other website design companies. We were impressed both with her knowledge and willingness to listen to what we hoped to achieve and have been very pleased with the outcome. 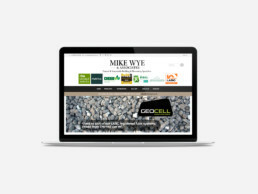 The final version required a lot of understanding and discussion with various staff members and helped us to clarify how we wanted our website to appear and function to our best advantage. There was also a lot of technical stuff in the background which Sallie-ann dealt with professionally. We've seen a significant increase in website traffic and also found that the added function to "request a quotation" has generated a new level of online sales. Sallie-ann has also provided invaluable support after the launch when we've wanted to tweak the website. We would have no hesitation in recommending Sallie-ann at Hype Digital for website design and implementation." 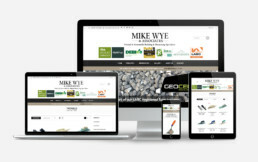 Mike Wye supply natural and sustainable building and decorating supplies. They approached me looking to update their outdated static HTML website, modernise the design make the information more pleasing to the eye. They were nervous to move too far away from their existing website structure for fear of confusing their very loyal customer base. 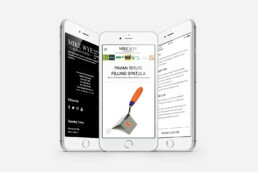 I worked closely with the staff at Mike Wye throughout the process and the design took several stages as we carefully considered its purpose from a user experience perspective. We rolled out a much-improved, fully featured, responsive Wordpress website without straying too far from the original look and feel. Improved menu structures make it easier for visitors to navigate through the website and find the information they’re looking for. They are confident having full control over the content. 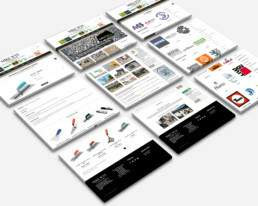 Adding new products, news, homepage banners, technical documents and deal with customers incoming quote requests. I’m really pleased with the outcome – take a look at the results!